“The Reproductive Justice analysis offers a framework for empowering women and girls relevant to every family. Instead of focusing on the means-a divisive debate on abortion and birth control that neglects the real-life experiences of women and girls-the Reproductive Justice analysis focuses on the ends: better lives for women, healthier families, and sustainable communities. This is a clear and consistent message for all social justice movements. Using this analysis, we can integrate multiple issues and bring together constituencies that are multi-racial, multi-generational, and multi-class in order to build a more powerful and relevant grassroots movement." -- Loretta Ross, founding mother of Reproductive Justice, co-founder and the National Coordinator of the SisterSong Women of Color Reproductive Justice Collective from 2005-2012. 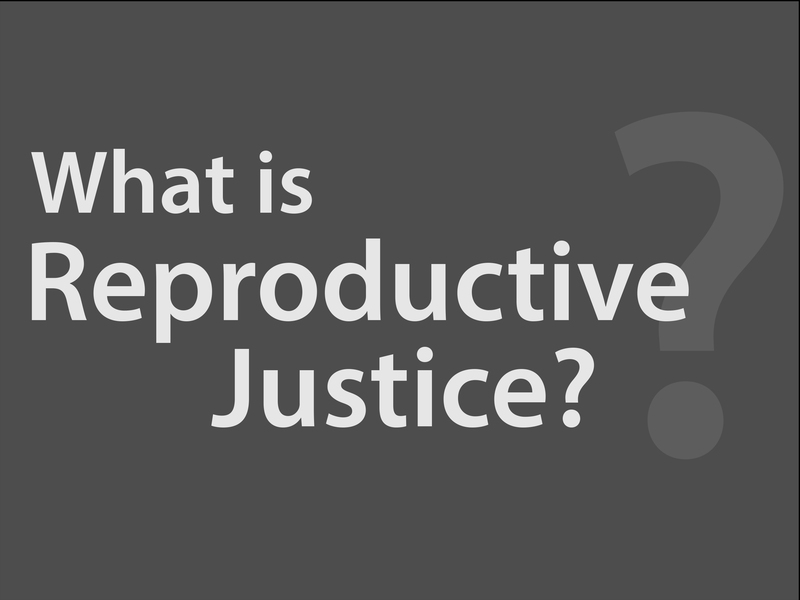 The main pillars of Reproductive Justice (RJ) include the right to have a child, the right not to have a child, and the right to parent one’s child, as well as to control birthing options. The RJ framework is distinct from the pro-choice and reproductive rights movements that focus singularly on abortion. 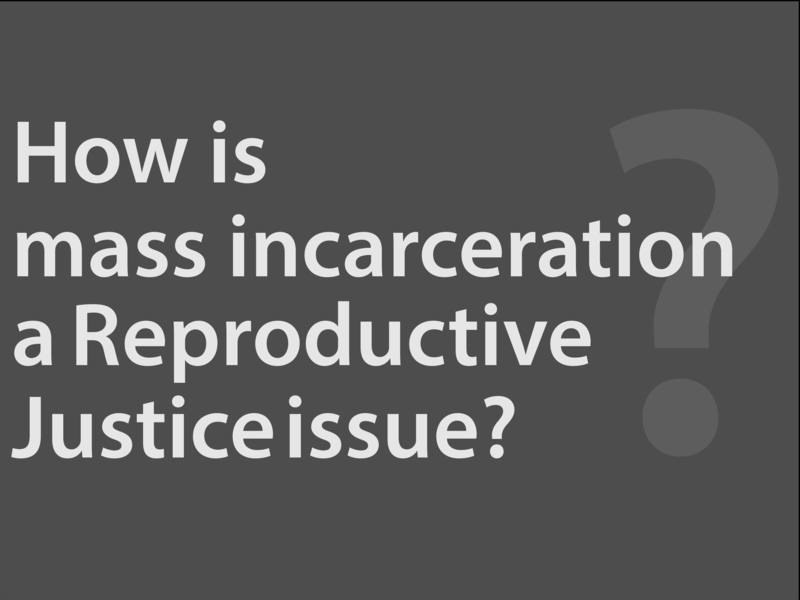 The intersectional framework of Reproductive Justice helps us to examine mass incarceration through a human rights lens. As the incarcerated population continues to rise, activists have examined the carceral state through an RJ framework and have targeted several major issues, including the separation of families, inadequate (or lack of) health care, laws that prevent access to housing, welfare, and health care for people who have been incarcerated, and policies that include restraints during childbirth and forcing incarcerated women to endure videotaped strip-searches. Loretta Ross has described the Prison Birth Project (www.theprisonbirthproject.org), for example, as a living model for putting Reproductive Justice into action. In 2014, PBP spearheaded successful efforts to pass a new law in Massachusetts that ends shackling during pregnancy/labor/postpartum, requires a pregnant woman to be transported in a van with seatbelts with handcuffs only in front, and sets standards for pregnancy healthcare and nutrition in jails and prisons. PBP works to educate and change public awareness about people in conflict with the law.